Integrations enable the transfer of data across your technology stack. You can move data into and out of the Arm Treasure Data Platform. You can also move data between databases within the platform (see Arm Treasure Data Data Exchange). To facilitate this, Treasure Data provides a user interface for most integrations. You can see a full set of integrations from the console, Catalog page. When you don't use the UI to create a data connector, you can configure a data connection by creating a .yml file. The documentation for each specific data connection provides steps for configuring a data connection both using the UI and, alternatively, creating a .yml file. Treasure Data also offers integrations that do not have a UI implementation, for example for Bulk Import, drivers, and API-based Webhooks and Postbacks. You can stream or bulk load data into the platform by using a data connection. Treasure Data offers data connections for website tracking, mobile and app, social media, and much more. 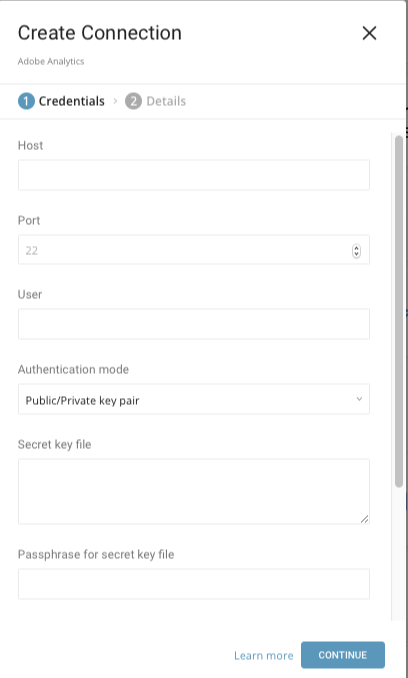 When you configure a data connection, you provide authentication to access the data source. You can see a list of all your configured and saved data connections from the console, "Authentications" page. 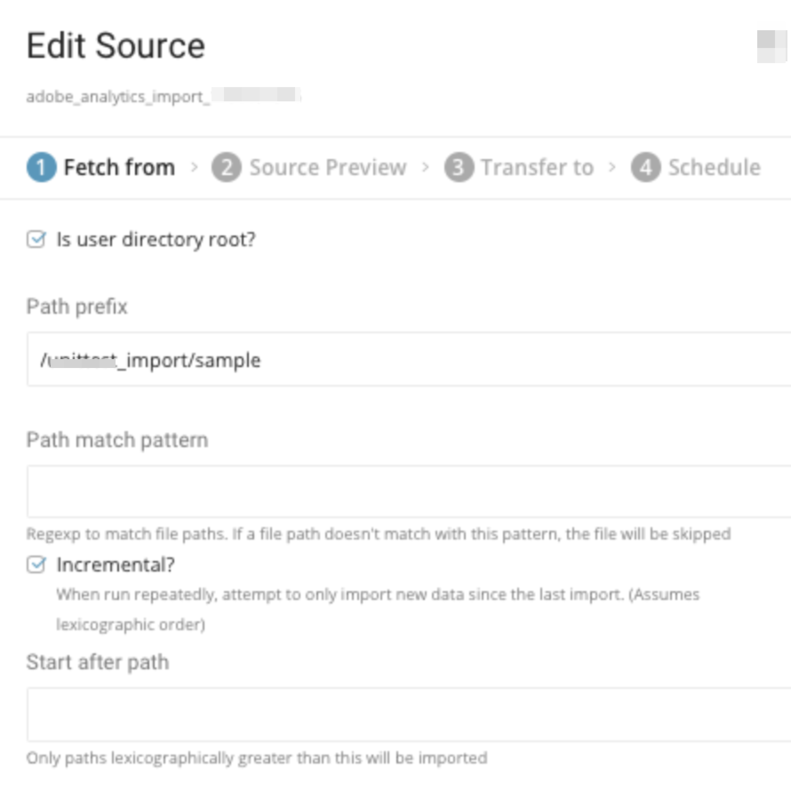 After you create and configure the data connection, you can create data sources that specify the specific source, the schedule for import, and also specify where in Treasure Data to put the incoming data. You can see your data sources from the console, Sources page. You might see the term Export Results used in association with export activities. Export Results allow you to send the results of a query to a destination. 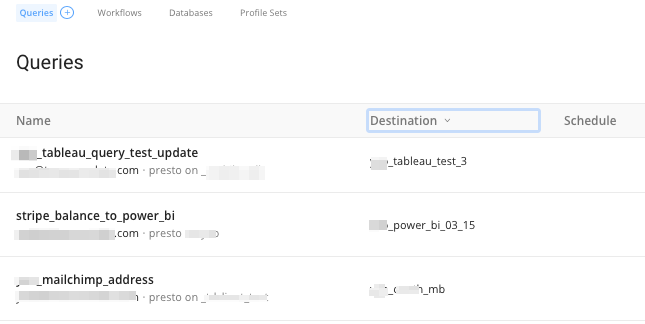 Data Connections are used to export query results out from Treasure Data to the target destination. As with import, you must create and configure the data connection to be used during export, prior to running your query. You can see configured Export Results from the Queries page. Click on a query that has an object in the Destination column.